Q. How do I find GTC Library resources in Google Scholar? In Google Scholar, click on Settings, then Library links. 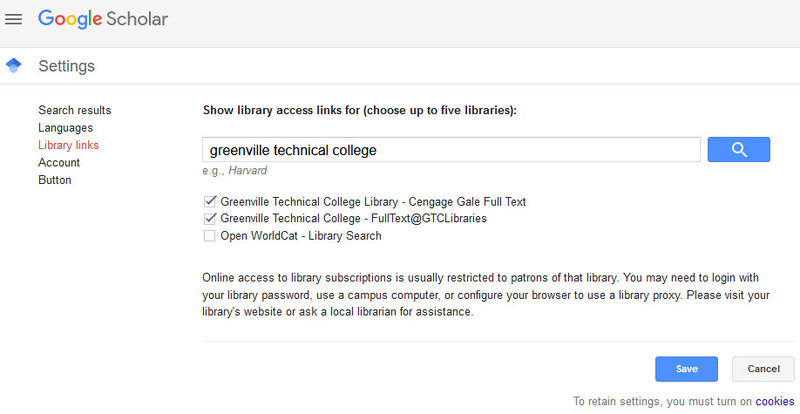 Search for Greenville Technical College, select the two options shown below, then click Save. Your results should now include articles that GTC Library databases have access to. When you click on any article title in these results, you will be asked to enter your GTC Library card number to access the full text.